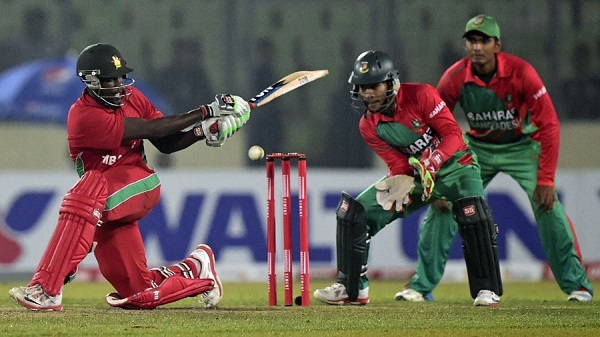 ZIMBABWE – Hosts Bangladesh and Zimbabwe will be desperately searching for winning combinations for the upcoming World Twenty20 when they clash in a four-match series in Khulna starting on Friday. With the Asia Cup T20 looming and the World T20 to follow, both are eyeing the T20 series in the Bangladesh city as a chance to experiment with line-ups in the hope of finding a successful formula. Both minnows face an uphill battle to reach the finals of the World T20 running from March 8 to April 3 in India. Bangladesh will host the Asia Cup starting in February. Bangladesh enjoyed their best year in One Day International (ODI) cricket in 2015 but continued to struggle in the T20 format, and are ranked 10th in the world, behind Afghanistan. Coach Chandika Hathurusinghe said his team would be juggling trying to win the series against Zimbabwe with trying out different players. “We still want to win but we will experiment in terms of combinations,” Hathurusinghe told reporters in Khulna. Zimbabwe were thrashed 3-0 in the ODI series against Bangladesh in November but managed to salvage a draw in the subsequent two-match T20 series 1-1. Zimbabwe won the second and final T20 match by three wickets, ending their 13-match losing streak to Bangladesh in all formats of the game since April 2013. As well as cementing combinations, Zimbabwe will be looking to boost morale after recent losses to Afghanistan in the both ODI and T20 international series in UAE, which ended earlier this month. “We have come here to win. We are also mindful that we have another 10 games before the World T20,” said Zimbabwe coach Dav Whatmore. The other matches will be played on January 17, 19 and 22 at the same venue. Bangladesh: Mashrafe Mortaza (captain), Shakib Al Hassan, Tamim Iqbal, Imrul Kayes, Soumya Sarkar, Sabbir Rahman, Mushfiqur Rahim, Mahmudullah Riyad, Arafat Sunny, Nurul Hasan, Shuvagata Hom, Mustafizur Rahman, Abu Hider and Al Amin Hossain. Zimbabwe: Elton Chigumbura, Malcolm Waller, Peter Moor, Sikandar Raza, Graeme Cremer, Hamilton Masakadza, Wellington Masakadza, Richmond Mutumbami, Sean Williams, Chamu Chibhabha, Neville Madziva, Luke Jongwe, Taurai Muzarabani, Tendai Chisoro, Vusi Sibanda, Brian Vitori.